When the weather’s hot and gorgeous, no one wants to be cramped and crowded inside. Summer is the time for swimming pools, outdoor water games, and most of all — backyard barbecues. Over the next few months, decks, patios, and outdoor kitchens throughout the land will be filled with the scent of burgers, steaks, and other barbecued meats and veggies grilling and smoking away before being enjoyed with pie, ice cream, and other summertime delights. If you’d like to host an epic backyard barbecue that will leave the neighbors talking for weeks, here are some ideas for absolutely perfect patios for any type of home or lifestyle. It doesn’t matter what awesome elements you include in your outdoor entertaining space if your guests are sweltering away in the sun as they eat, drink, and try to relax. For the ultimate comfort, you’ve got to keep things cool and shady. Some perfect patios are built on as home additions and come complete with a roof to protect occupants from the elements. For a simpler, more affordable option, canvas shade sails or a pergola with flowering vines growing on it look gorgeous and offer cooling shade. Many homeowners find that updating outdoor living spaces into perfect patios provides the ideal opportunity to create the gold standard in backyard barbecue enjoyment: the outdoor kitchen. Building out an outdoor kitchen means bringing all of the common indoor kitchen conveniences outside and onto your patio. In addition to a fantastic grill, you can install a griddle and a burner to use for pots and pans, create plenty of countertop space, and even include a sink and refrigerator for easy cleanup and storage of food and ice-cold drinks for guests to enjoy without having to troop in and out of the house. For the ultimate foodie, perfect patios all contain various elements that allow mouth-watering meals to be prepared outside. While an outdoor kitchen is one luxurious addition to your backyard entertaining space, there is a way to bump it up yet another notch: you could install a wood-burning pizza oven. Outdoor pizza ovens can be included in an overall outdoor kitchen design and installed in the cooking area near the grill, sink, and countertop. You can also plan for a freestanding pizza oven positioned near an open patio area. Either way, these ovens are a versatile way to prepare many different gourmet dishes, from thin-crust wood fired pizzas to herb-roasted chicken. Pick and Choose: How Will You Use It? 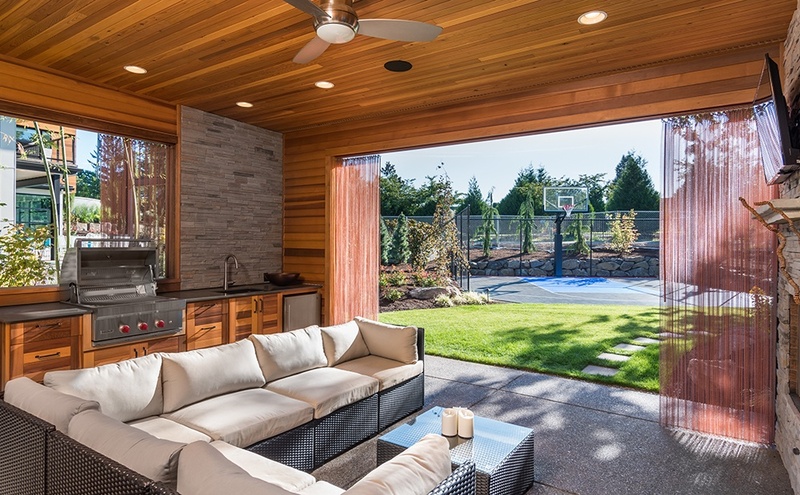 When making a final design decision about what to include in your outdoor living space, it’s important to consider how your family will actually use it. If you’d like to grow a lot of sun-loving plants in the space, it’s a bad idea to cover it and create a 100 percent shady area. Maybe you aren’t big on cooking, but would like a place to relax for an occasional grilled burger or hot dog cookout. If so, forgo spending on an outdoor kitchen and focus on creating an outdoor living room for everyone to relax. 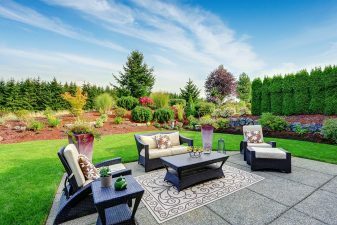 On the topic of perfect patios, there is no one right decision when it comes to the ideal design. What matters is that your family will actually use the space once you’ve built it out. 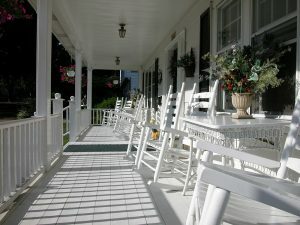 As you budget out your patio project, think carefully about the kind of outdoor activities your family enjoys. This will enable you to spend time and money focusing on factors that your loved ones and neighbors will use the most as you have legendary gatherings all summer long. Next Next post: Are You Making These Real Estate Investment Mistakes?